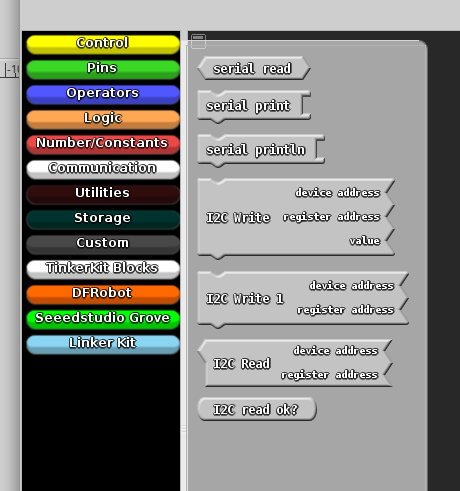 I split the menu Operators into two menus: Mathematical Operators and Logical Operators. 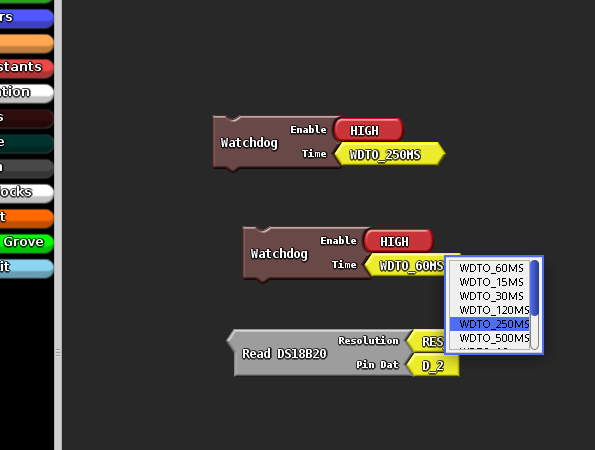 Move the delay function to Control and change the color to Yellow. Create the menu Especial with 3 function: One where you can write a code directly on the header, other two setup and the last one to loop. 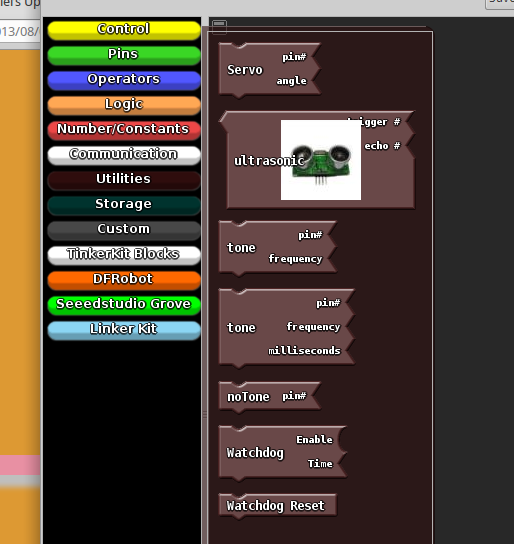 Now the user can include a Library or others stuffs without a specific block. 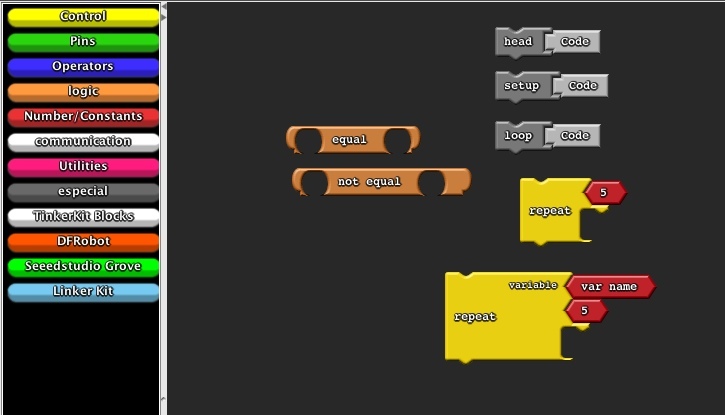 I create a For/ Repeat loop where the user can set a variable name for the counter. In Logical Operators I create two new blocks for == and != where you can put a boolean variable. 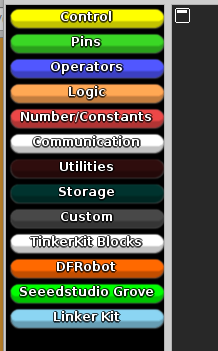 The Utilities menu (Added watchdog functionality). 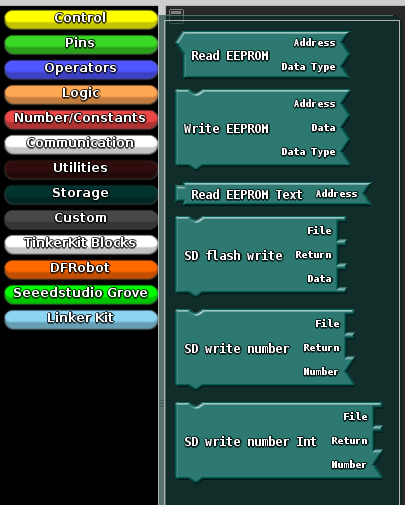 The Store menu (Internal EEPROM and external microSD adapter). The custom menu (I2C LCD, I2C 7 segments, Thermocouple reader, DS18B20, Real Time Clock). An example of drop/down menues to avoid using several constants. The blocks were configured with their respective support libraries. Very nice update. Let’s see how we can integrate this with Daniel’s update. Can you create a github? With github will be easy to share our blocks. 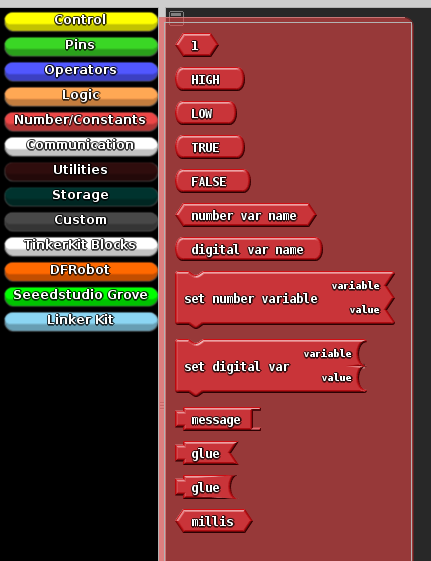 This weak I will creat blocks for char variables. David, How about the vector blocks, Any thoughts?